The cake was light and moist. It remained so even after a day. It was over by the second day. It is sort of addictive, you just can't stop after having only a slice. I also loved the fact that the cake was light yellow in colour naturally. I didn't use any colour - I think the lemon zest did the work here. 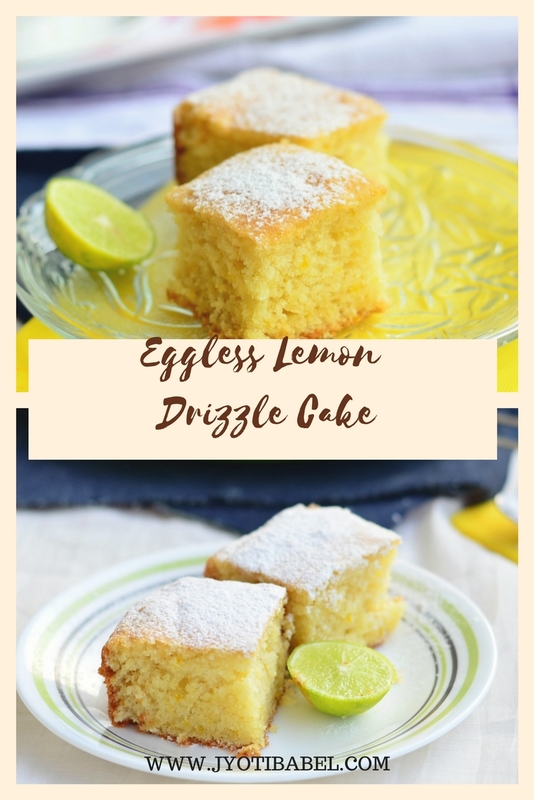 Let's check out the recipe for eggless lemon drizzle cake now. This book collection can be yours! Check out this giveaway post and have a chance to win it. 1. 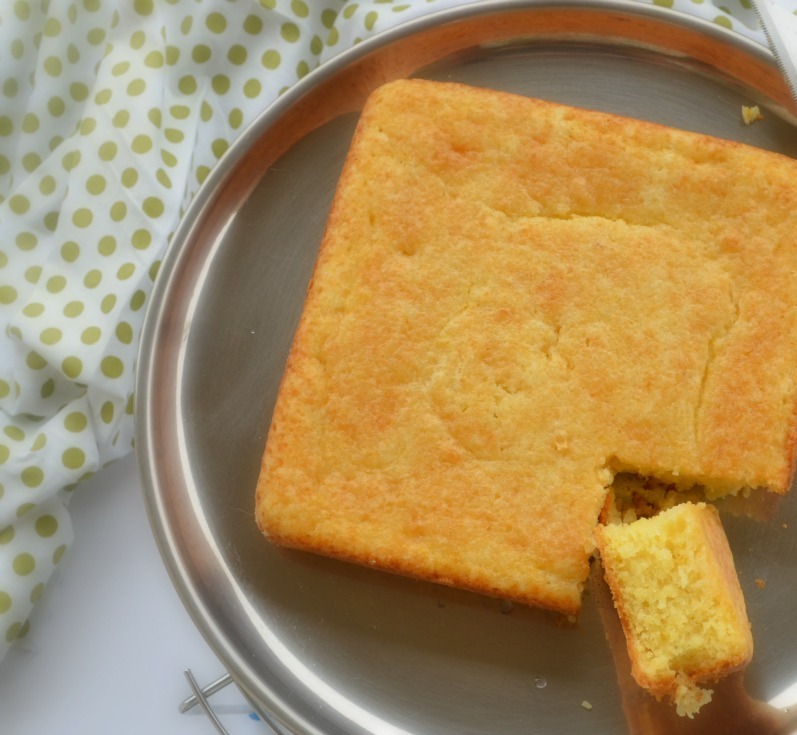 Grease a 6-inch cake tin with butter and dust it with flour. Shake off the extra flour. Keep aside. Preheat oven to 180 C.
2. Sieve the flour, baking soda, baking powder together in a large bowl. In a separate bowl cream the butter and sugar until light and fluffy. Add the yoghurt, lemon rind and juice and stir. 3. Add the flour mixture to the liquid mixture little by little and keep stirring all the while. Add the water as required to form a condensed milk like consistency batter. 4. Pour the batter into the prepared tin and bake at 180 C for 25 minutes. 5. The cake is ready when a skewer inserted inside comes out clean. 6. After leaving it to cool for 15 minutes, take it out of the tin. Drizzle the prepared lemon syrup over the cake while it is still warm. Slice and enjoy! 1. Please do not overdo the drizzle, else the cake will turn soggy. 2. The cake tastes great even without the drizzle. You can also do a little sprinkling of icing sugar instead. Hi Jyoti, I made this cake for my mum-in-laws b'day. It was such a hit. I loved the intense lemon flavour. Thanks for the recipe!!! Thanks Ellis for letting me know. Glad to know that you liked it. Love the lemon flavor in cakes. You cake has come out so soft and spongy. I love lemon flavored cakes!! I will give this a try. Thanks for sharing. So soft and moist cake. Loved it. Can feel the lemon flavour. Great share. Sounds so yummy. Have not baked in a while will love to start here. I love lemon cakes. Love the beautiful buttery yellow colour of the cake. Wish i get a super huge slice of this citrus flavored cake, my god cant believe that this cake is eggless, you nailed it prefectly. Love any bake that is eggless; gorgeous! Lemon flavor is so refreshing; awesome share! Havent baked a cake since quite some time now. Loved the soft crumb of the cake and I bet it was delicious with the flavour of lemon. Perfect Summer Tea time cake this is. I adore naked cakes and this is something I would totally indulge over a cup of coffee. 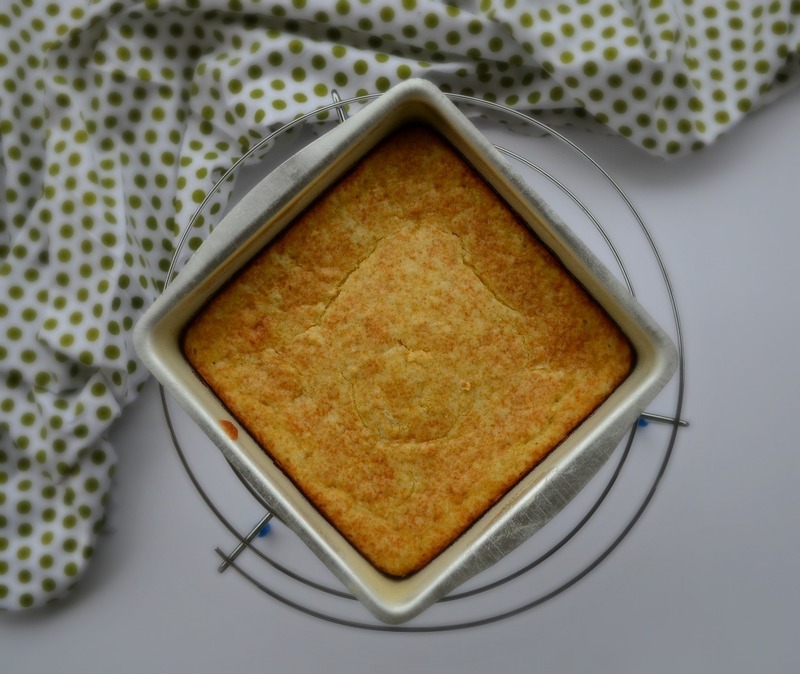 Lovely texture of the flavour ful cake, and eggless makes it even more better, lovely share. I love citrus flavoured cakes and this looks amazing and perfect ! Delicious share ! Your lemon drizzle cake indicates that summer is not far away :) Beautiful, light and and refreshing looking cake perfect for a afternoon tea! I can imaging myself devouring this cake in my back garden. The cake looks so soft and moist. Love that citrusy flavour. Mouthwatering Cake. I make this with plant based milk and oil. The lemon flavor is my best part! spectacular recipe, let me gather up the ingredients. This looks so good. Lemon in cakes is something that I got hooked on recently. 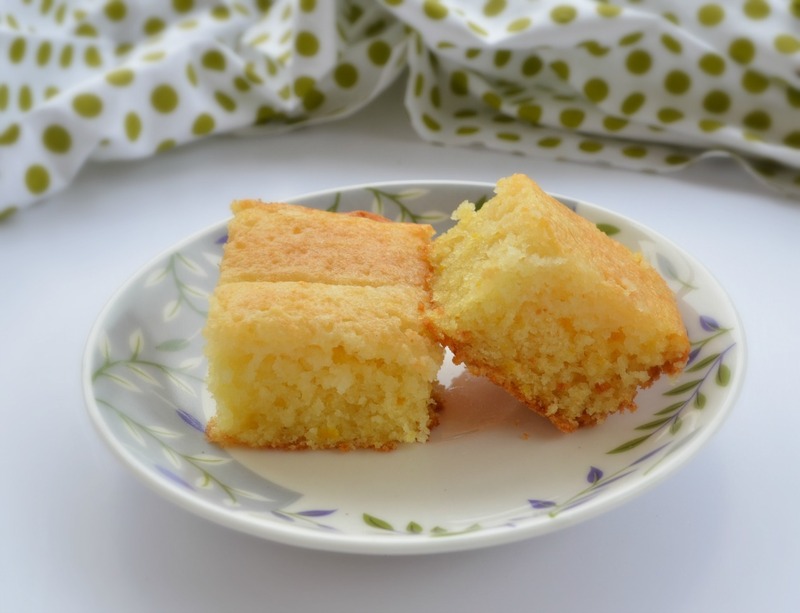 This pound cake with lemon drizzle looks so good to try with tea in the evening.